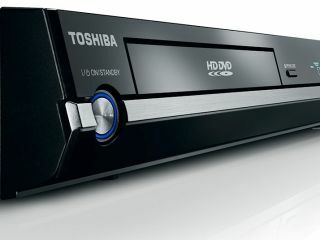 Toshiba's HD-A2 HD DVD player is now retailing in big US stores like Walmart and Circuit City for less than $200. With prices hovering around the $198 (£96) mark, the price is around half of what the HD-A2 costs in the UK. The Toshiba HD-A2 costs just under £200 on Amazon UK, while it sells for roughly the same number of dollars on Amazon US, making it twice as expensive in the UK. Is this yet another example of rip-off Britain? HD adoption in the US is far more advanced than it is here in the UK. HD DVD and Blu-ray players are not even available in some high street stores over here. Whereas in the US, aggressive pricing and competition has driven the growth of the HD market much faster. Toshiba and Microsoft, the chief exponents of HD DVD, will be hoping that rock-bottom HD DVD prices in the US will help push standalone player sales further ahead of Blu-ray ones. Certainly these bargain prices will be too good to refuse for many buyers. The $200 price tag in the US is cheaper than the $349 Nintendo Wii; the $399 40GB PS3 and the new $375 Sony BDP-S300 Blu-ray player. It is, however, unknown as to whether these prices on their own would be enough to shift players in the UK. Education on the HD formats over here seems to be very low, and a good deal of promotion will be needed from the HD DVD and Blu-ray camps if they want Britons to take them seriously.